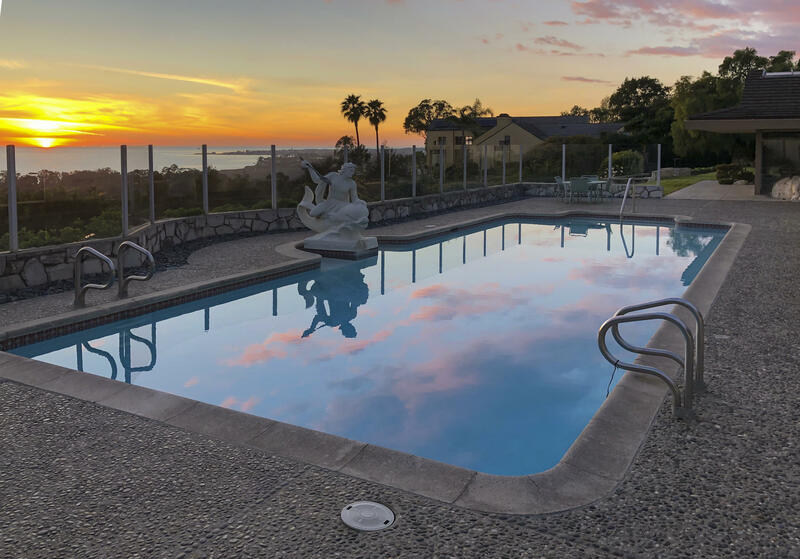 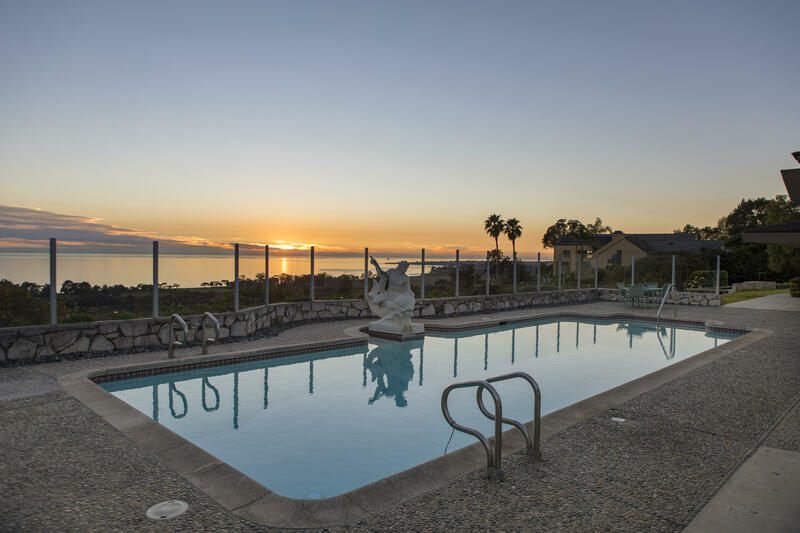 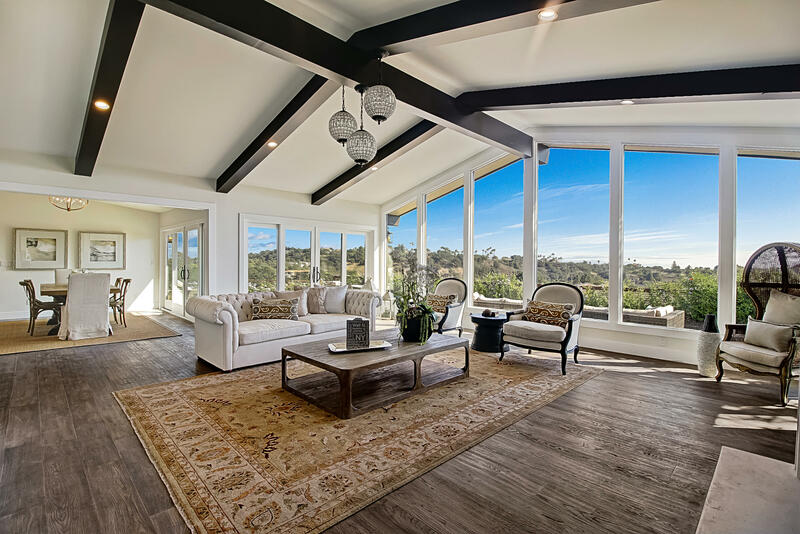 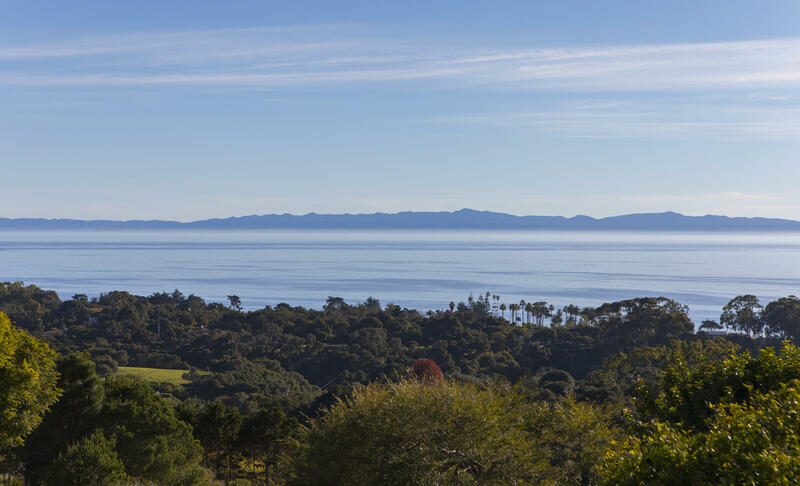 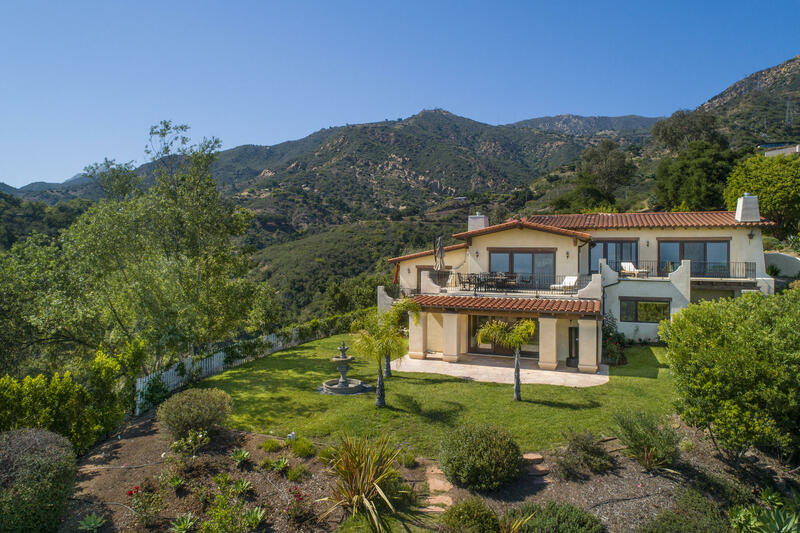 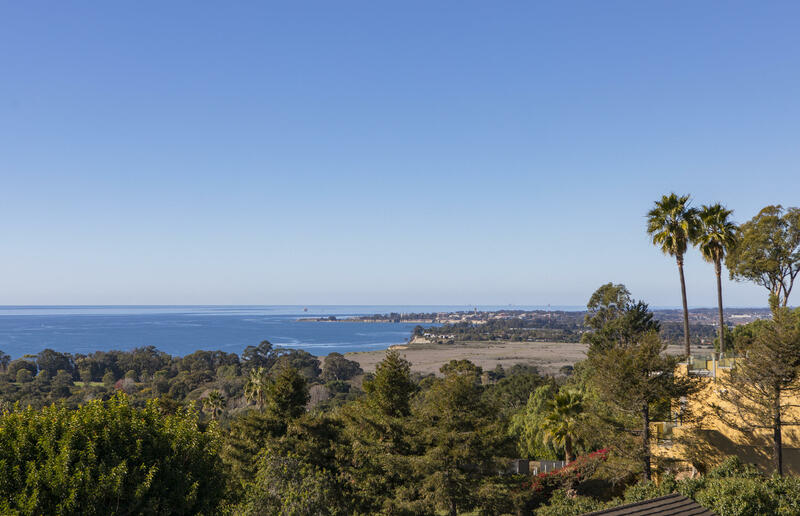 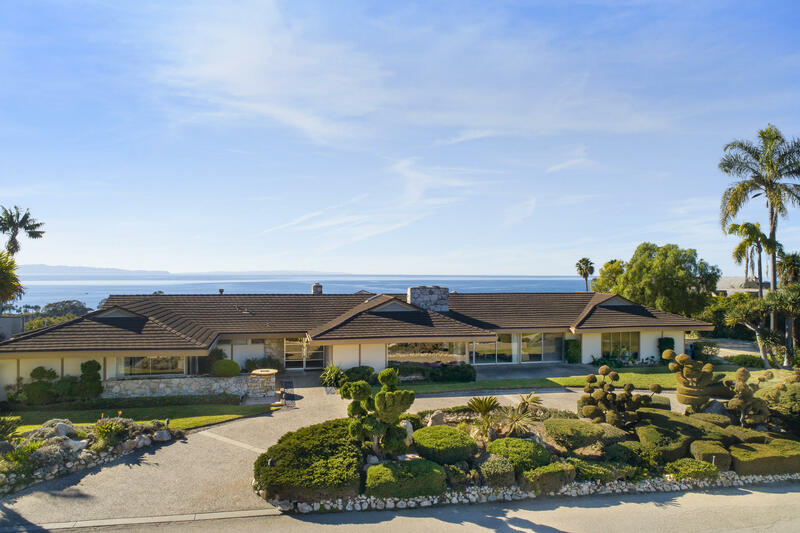 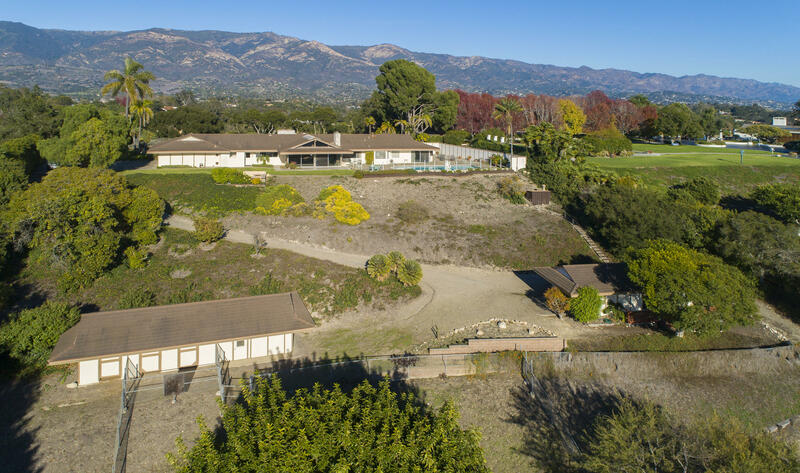 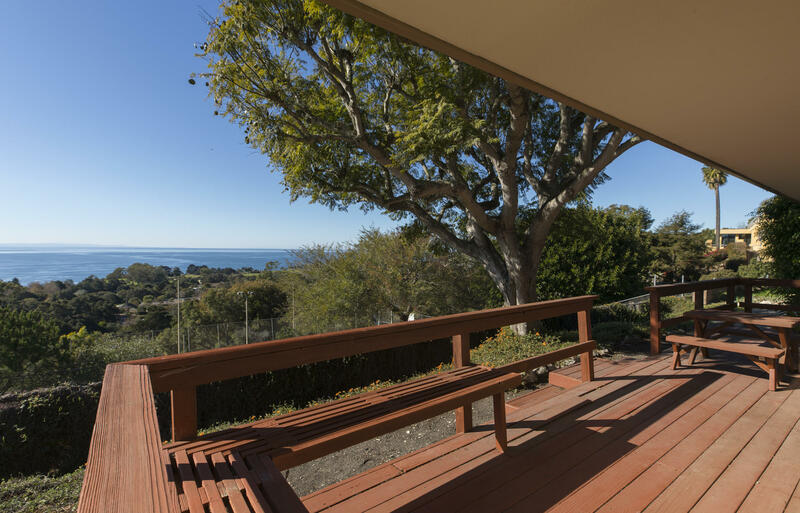 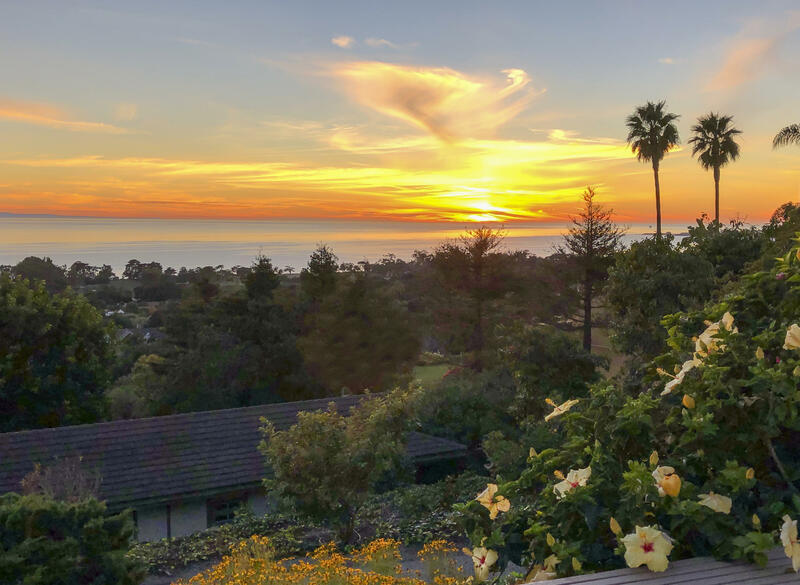 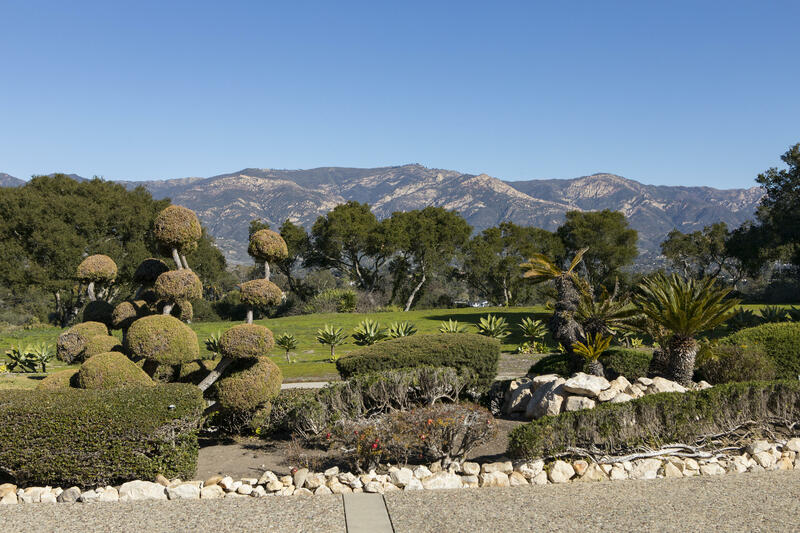 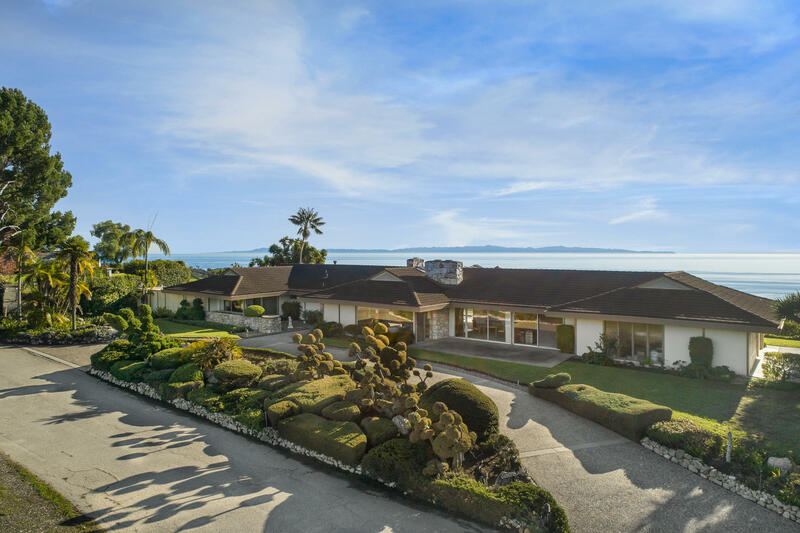 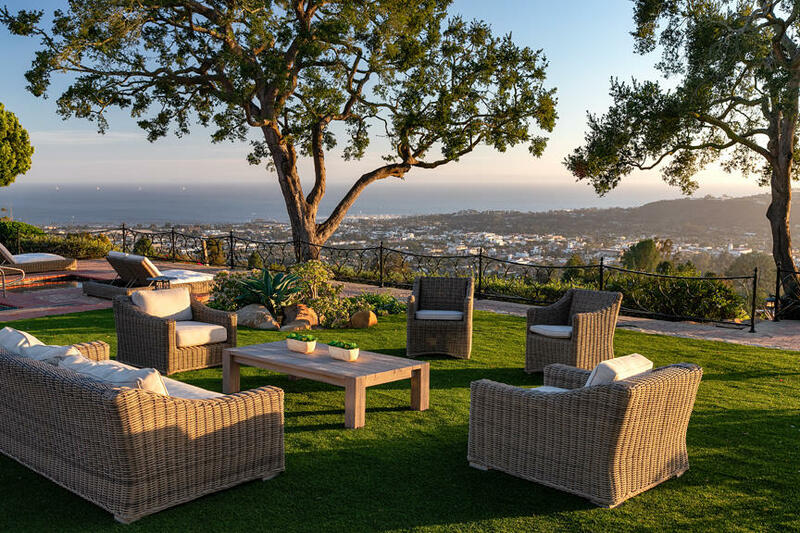 Unobstructed panoramic ocean and island views abound from this private 2.23 +/- acre hilltop Hope Ranch estate. 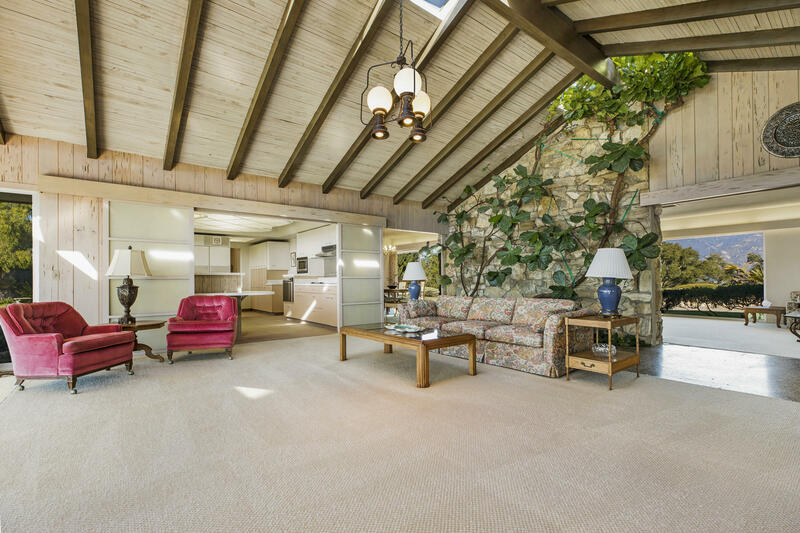 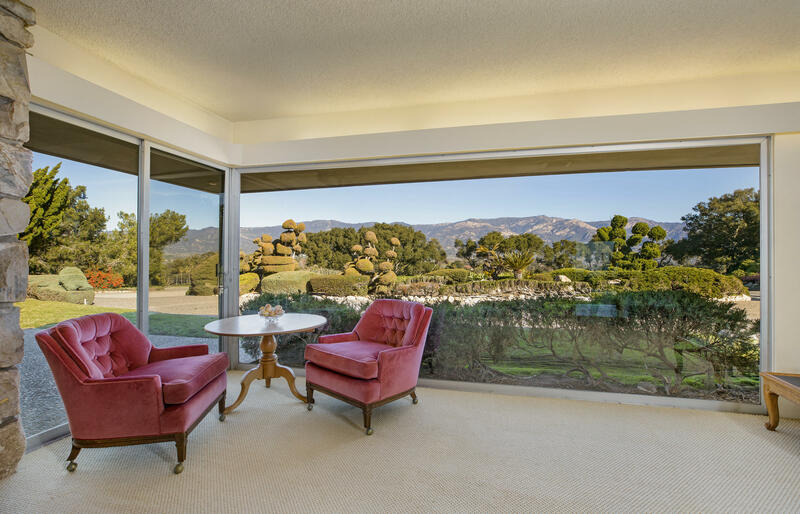 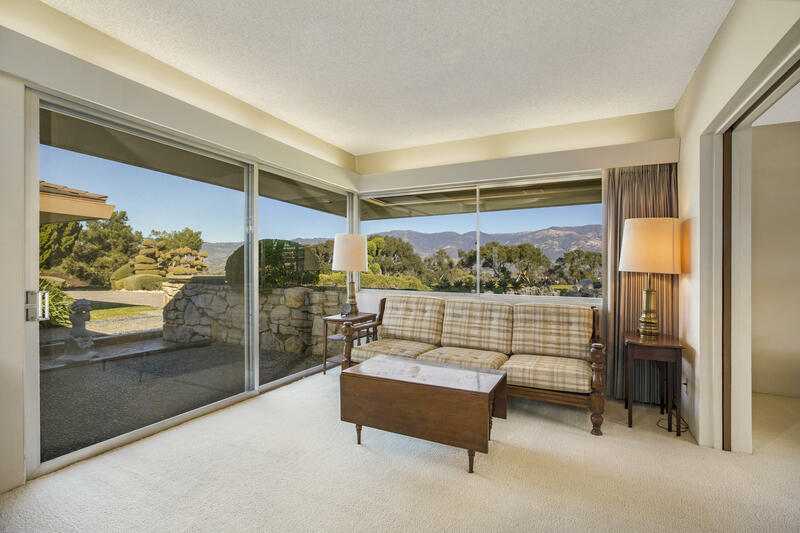 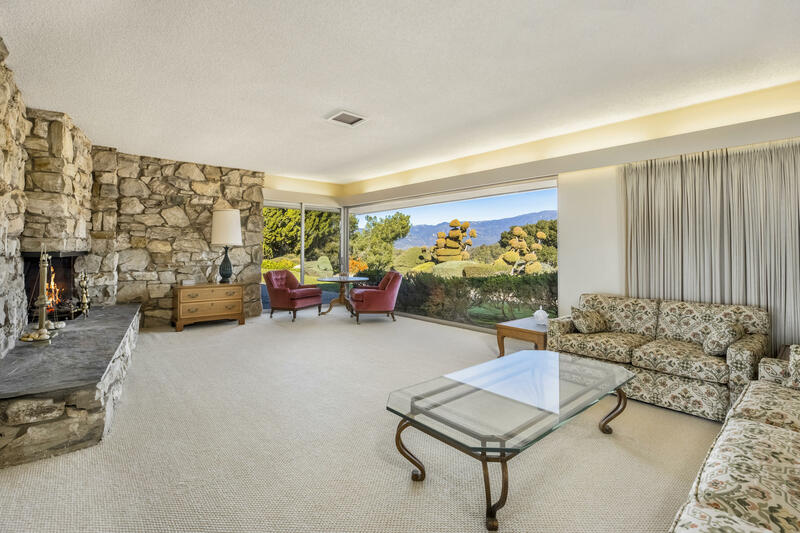 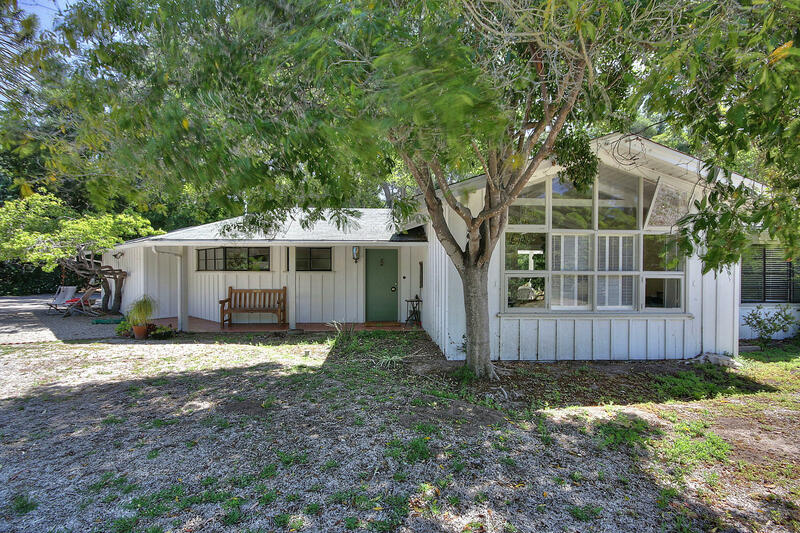 This Mid Century modern single level 3,474 sf. 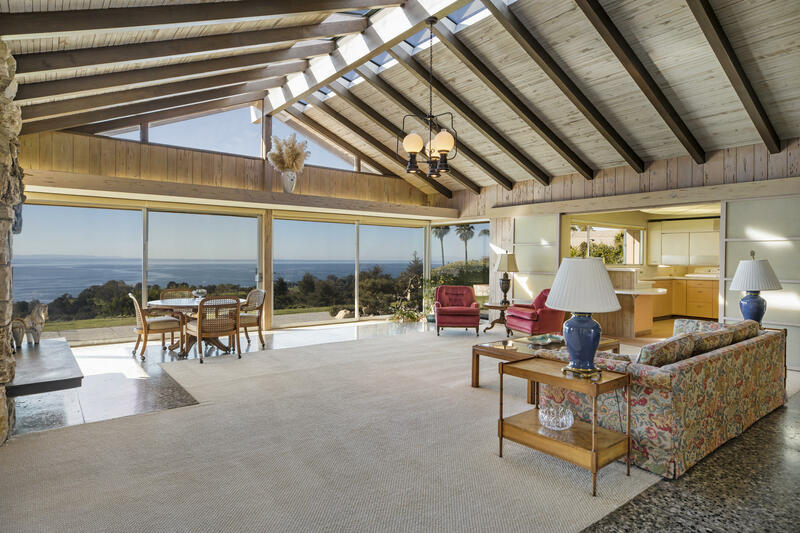 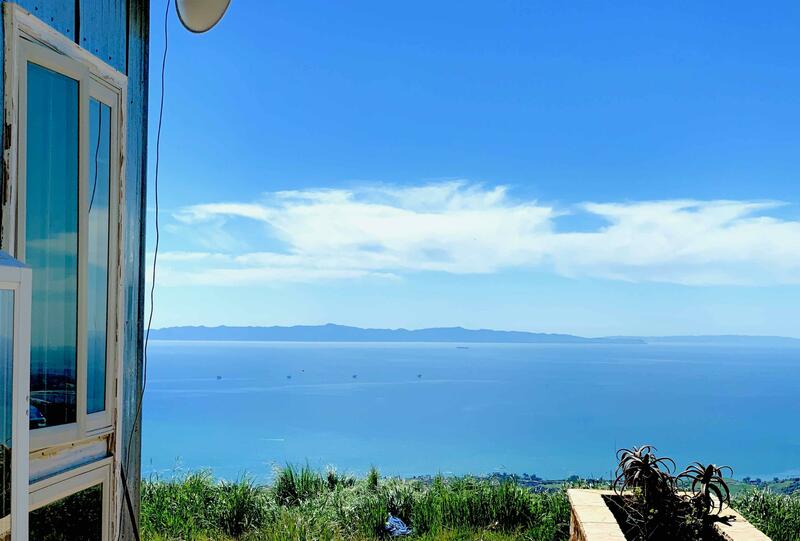 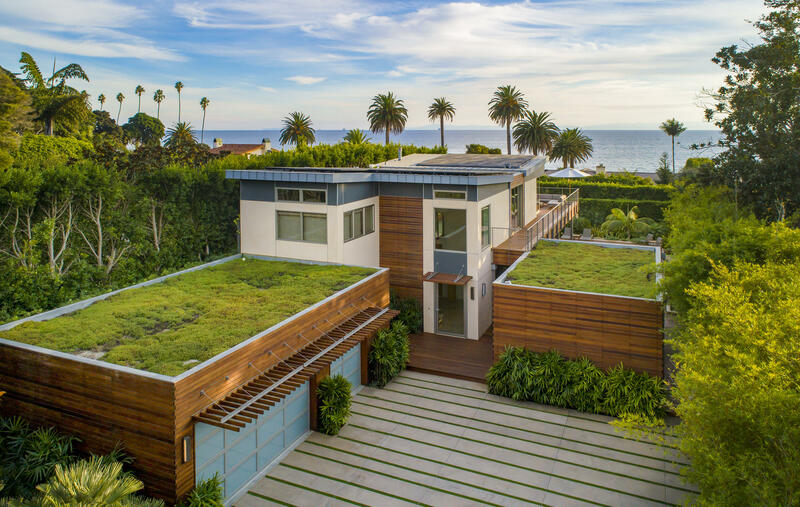 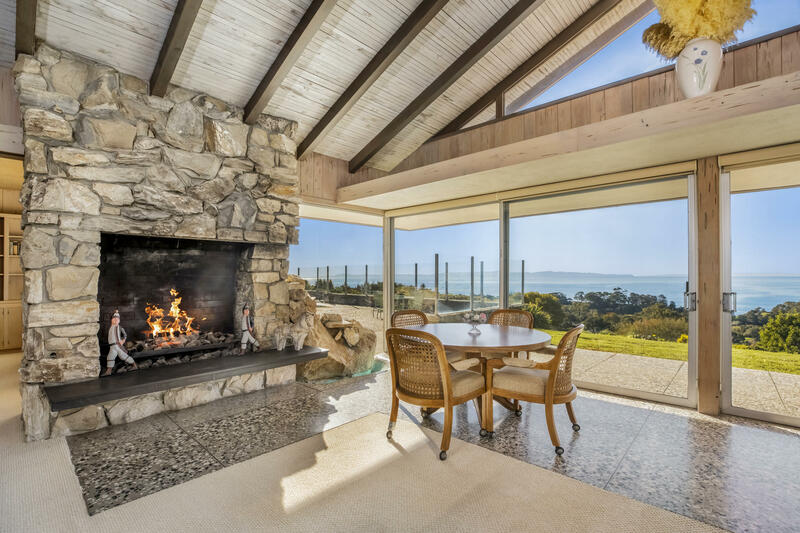 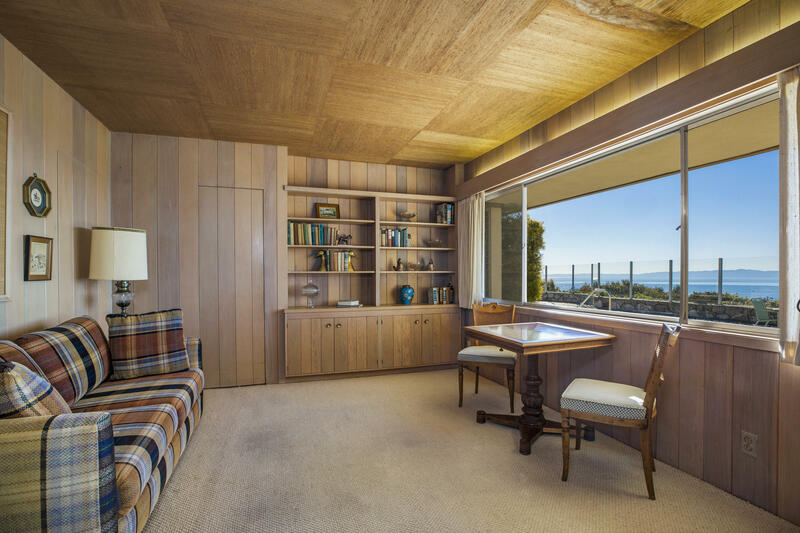 home boasts walls of glass to showcase priceless ocean & mountain views. 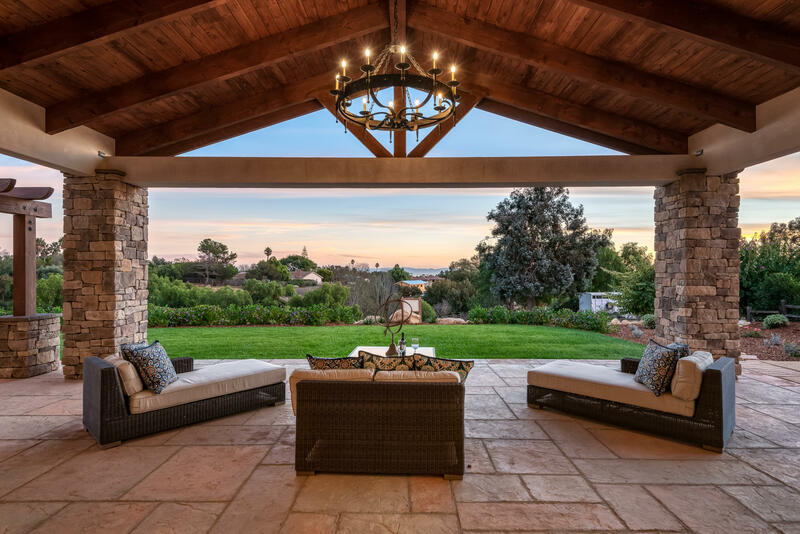 An open concept design, the great room has high vaulted ceiling, Sohji sliding screens, stone fireplace, indoor/outdoor pond and fiddle fig tree. 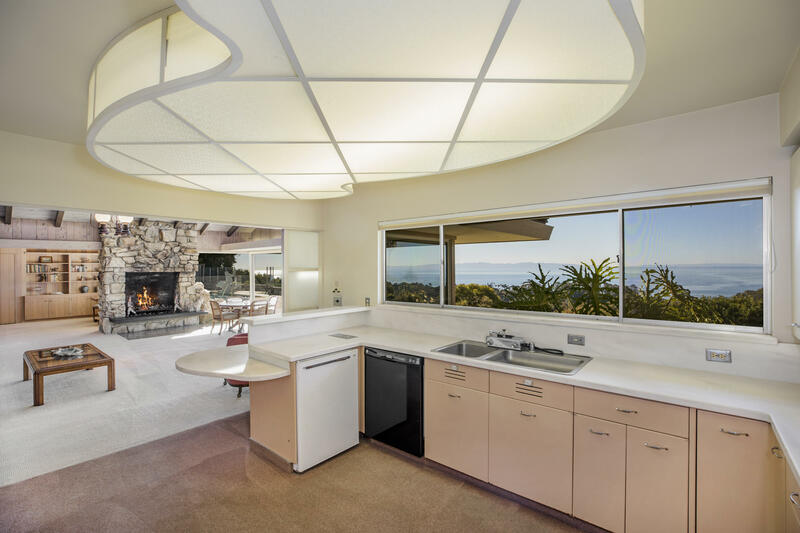 The kitchen has a sitting bar and vintage 1950's metal cabinetry. 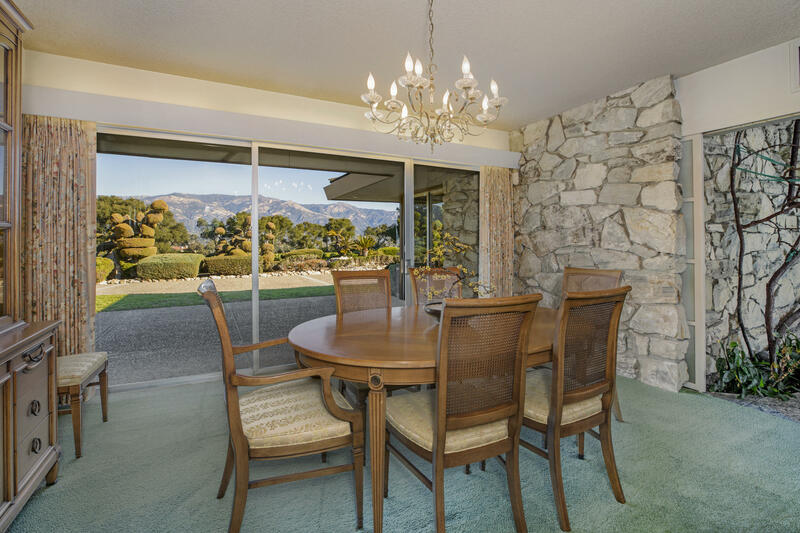 The dining room sits off the kitchen and enjoys mountain views and an open patio. 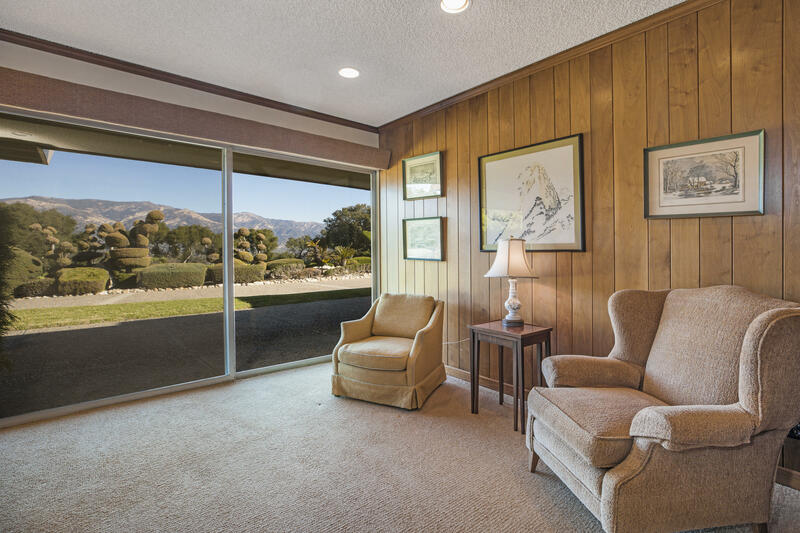 A large living room has breathtaking mountain views and an impressive fireplace. 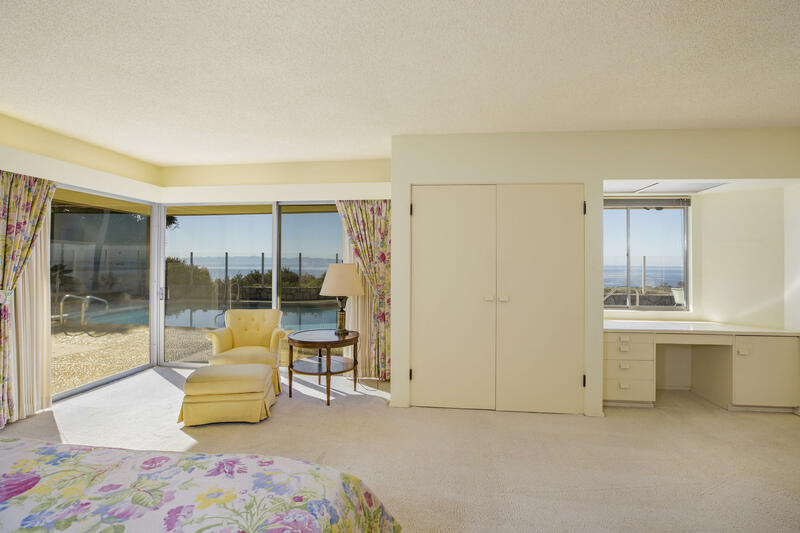 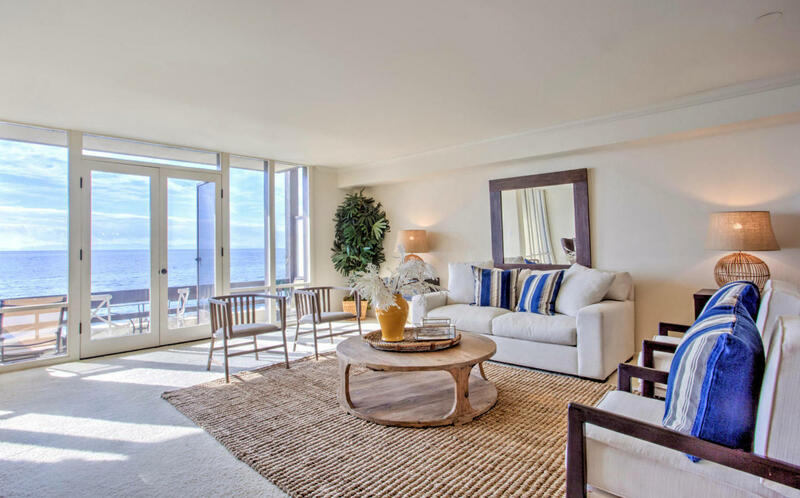 The master suite faces the ocean, opens to the pool, and offers built in dressers & desk. 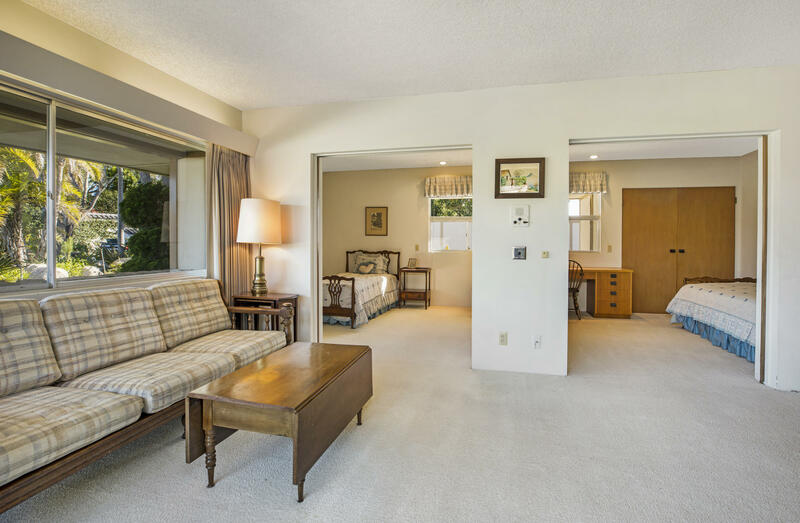 A second bedroom features a spacious sitting area with mountain views, two sleeping areas and a private bathroom. 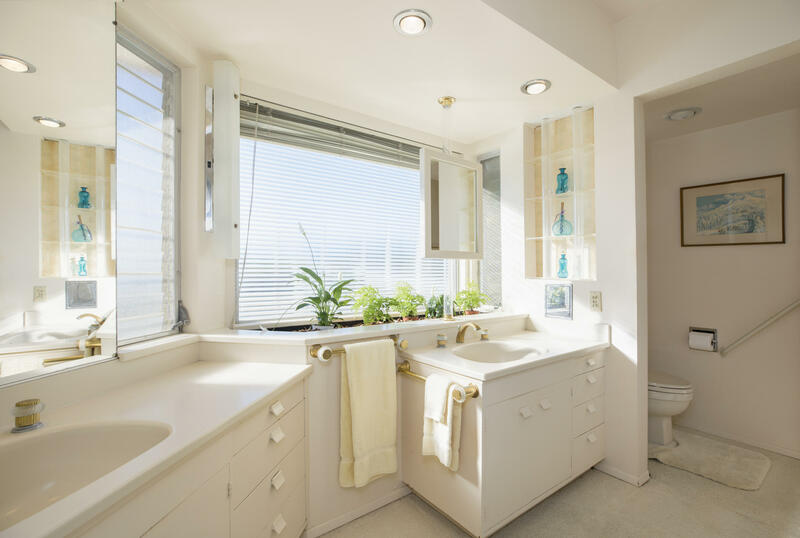 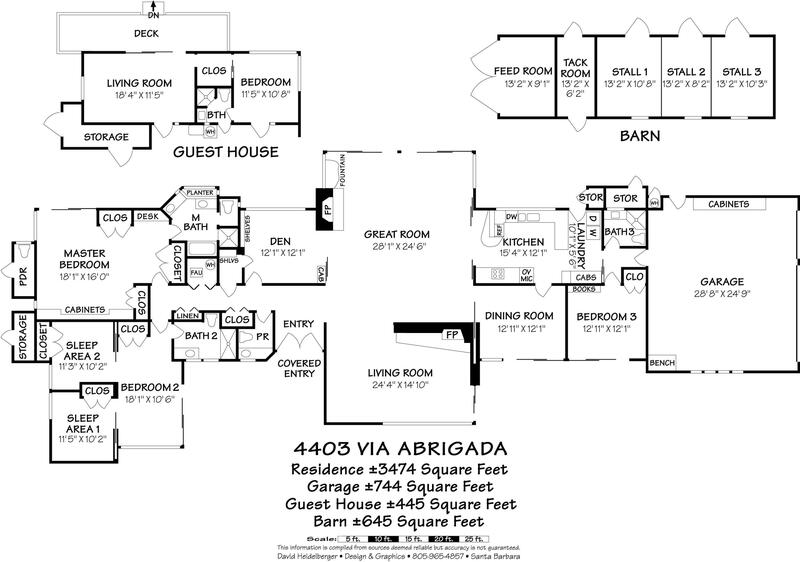 The third bedroom sits next to a hallway bathroom with shower at the opposite end of the house. 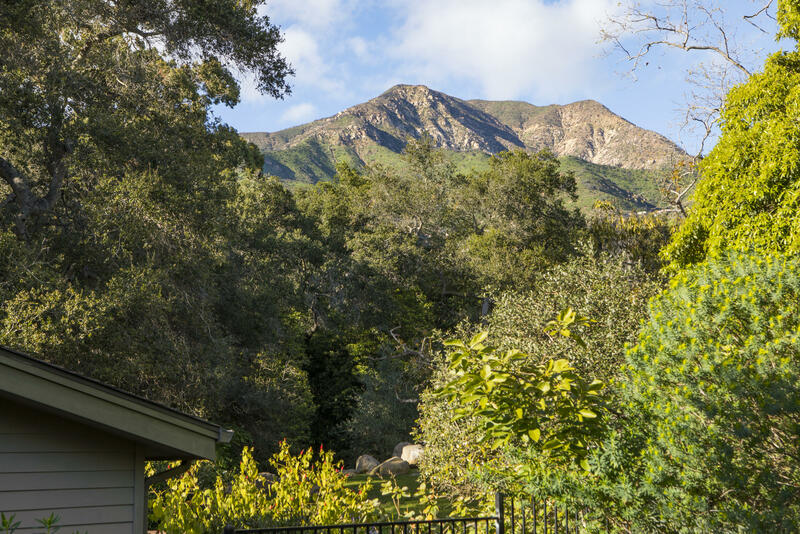 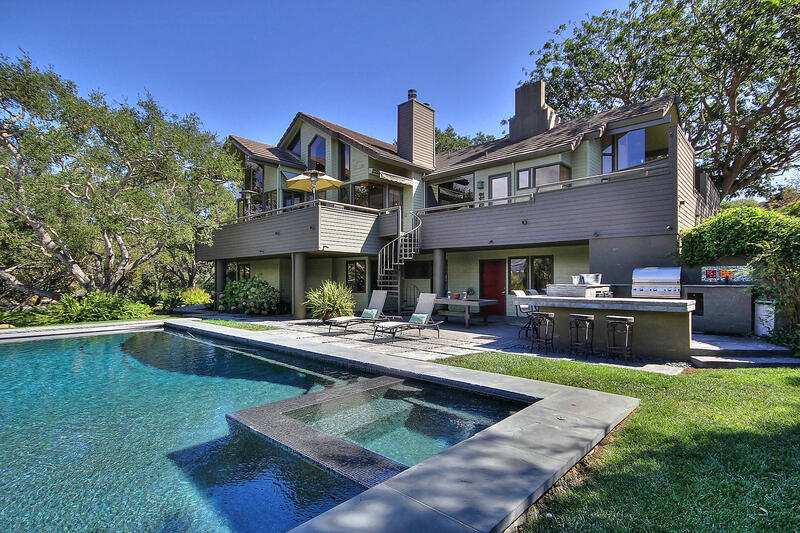 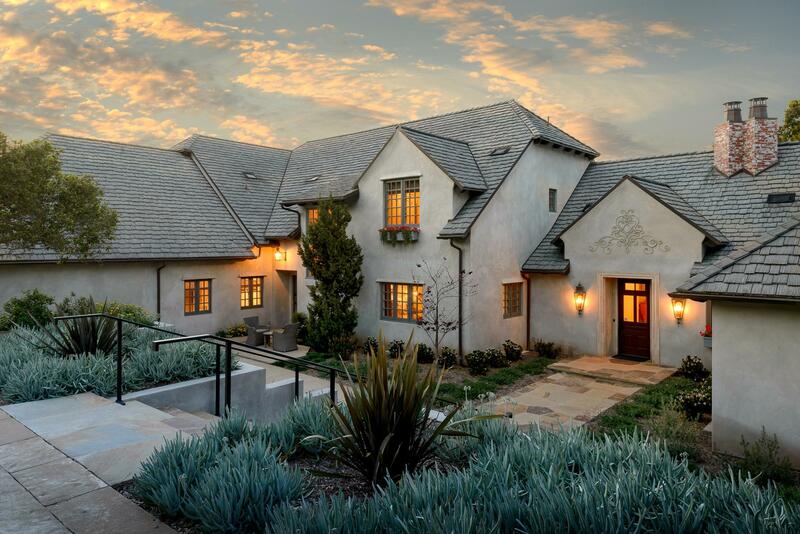 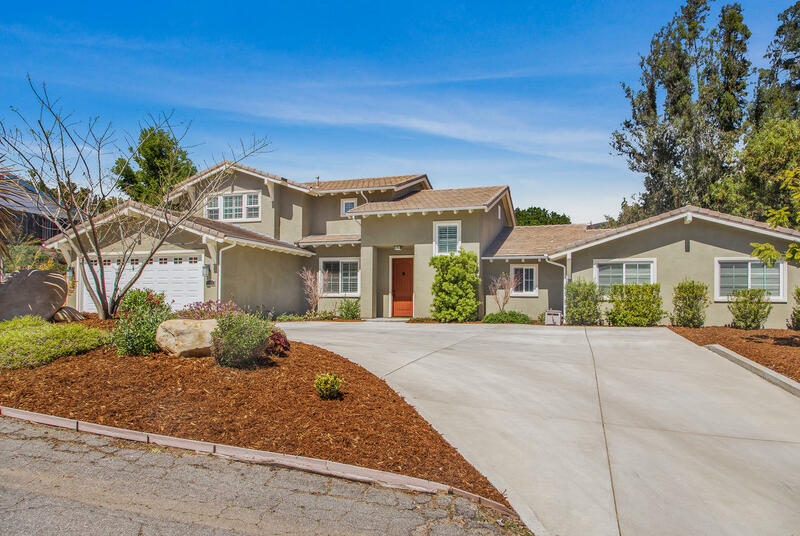 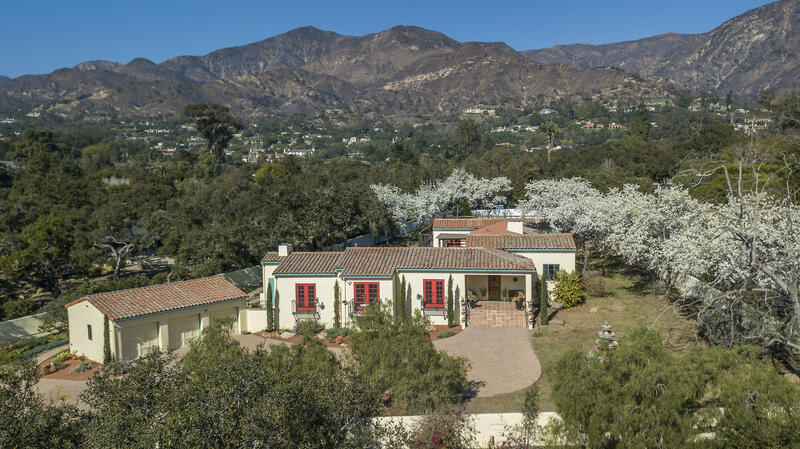 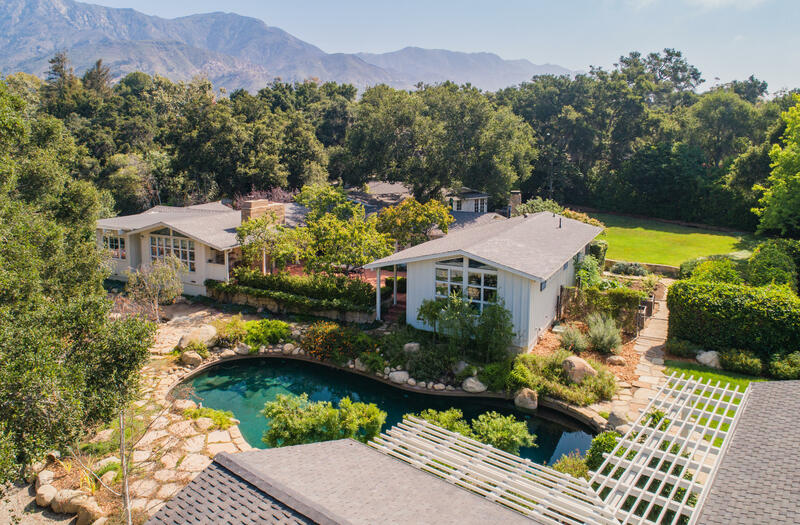 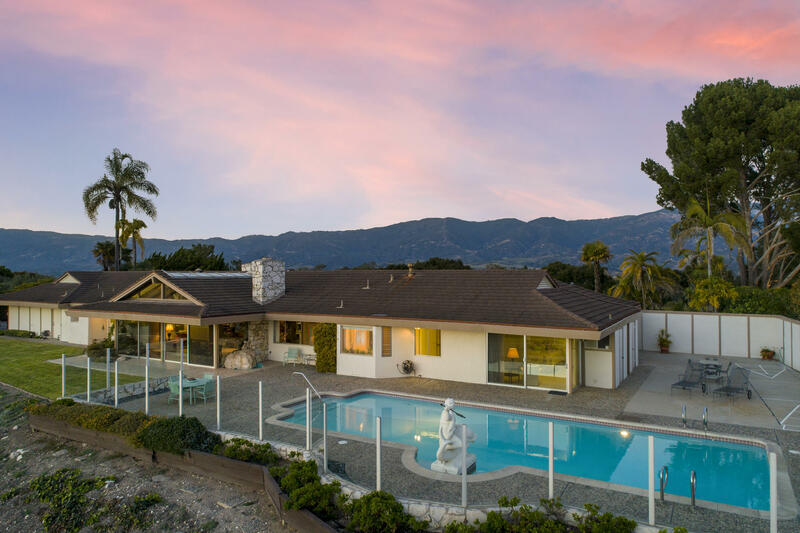 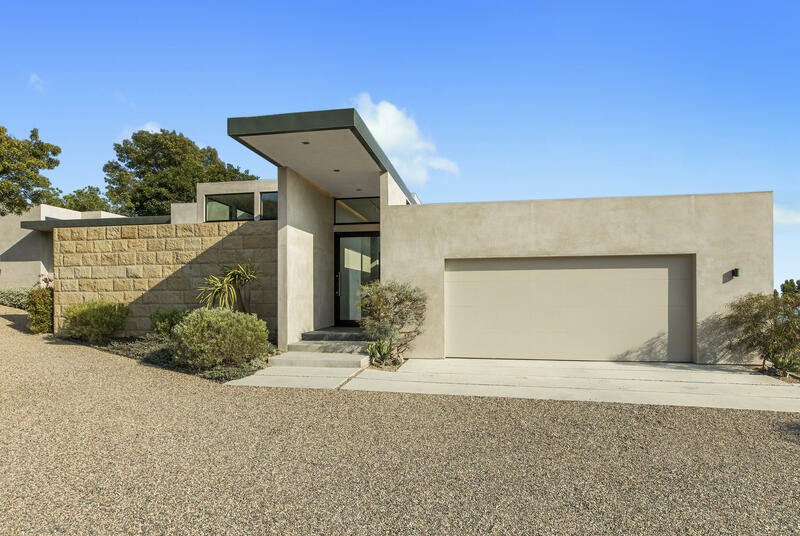 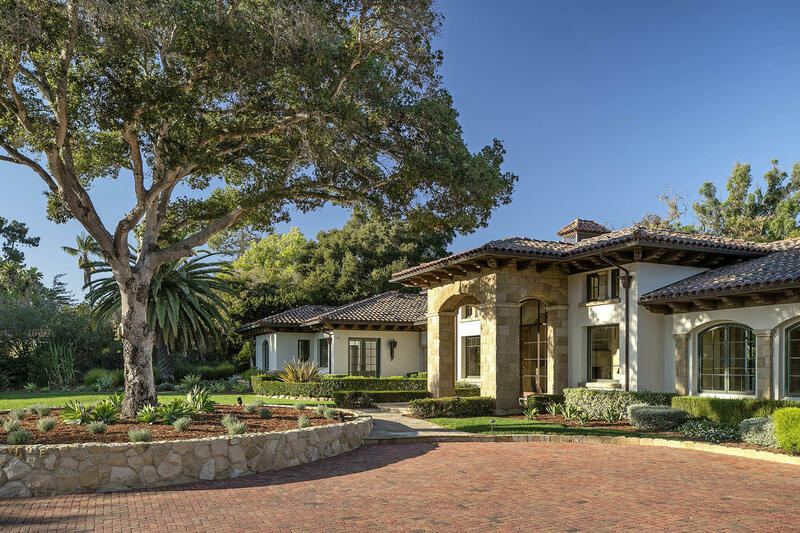 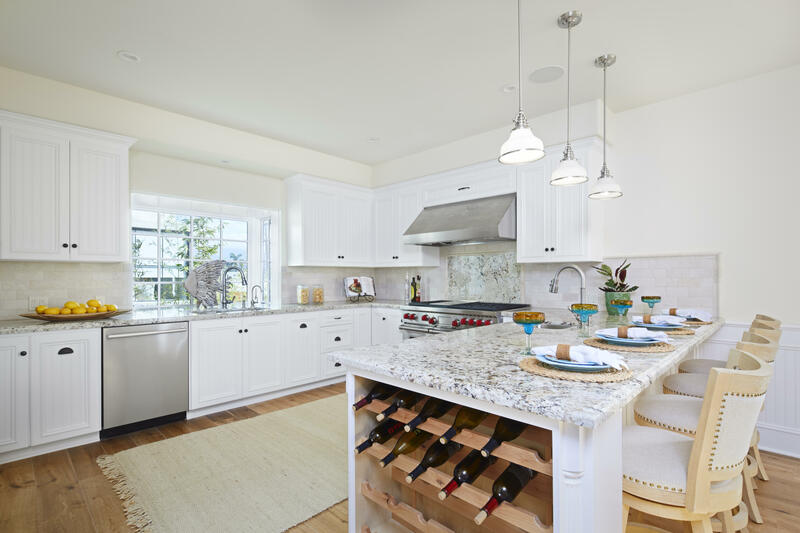 The home is surrounded by mature landscaping, offering avocados, orange and other fruit trees, several patios, a BBQ area with sitting benches, and an outside half bath near the pool. 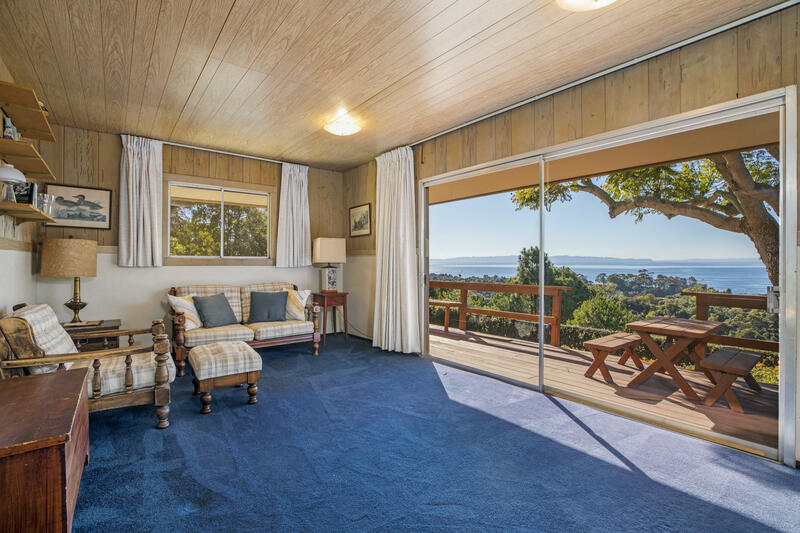 A gravel road meanders down to a one bedroom cottage with living room, bathroom, shower, and ocean view wood deck. 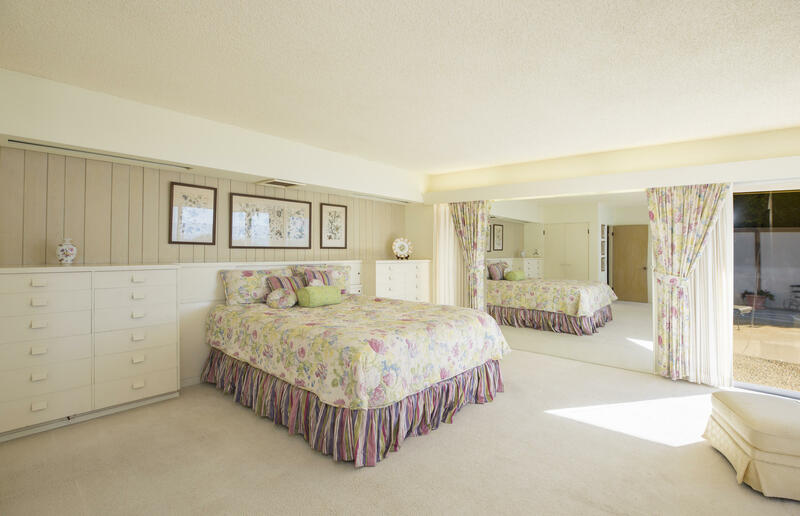 Near the guest house sits a barn with three stalls with outside fenced areas, tack and hay rooms. 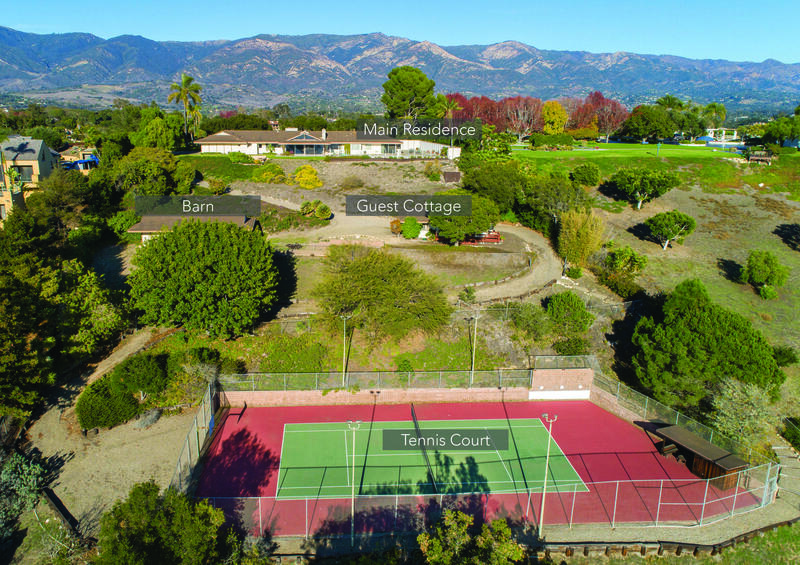 The gravel road continues down the property to a fenced tennis court with basketball hoop, tennis shack, and plenty of room for visitor parking. 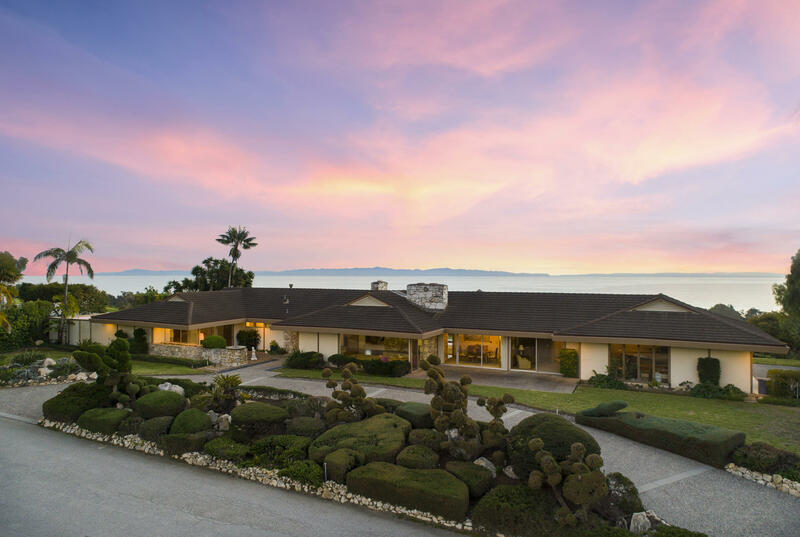 Hope Ranch offers exclusive private beach access, equestrian trails, and private security patrol.